Angel’s Envy team members Ryan Forsyth and Trina Nishimura have been spreading the word about Angel’s Envy, and the good people at Kirby’s Steakhouse throughout Texas and Mickey Mantle’s Steakhouse in Oklahoma liked what they had to say. 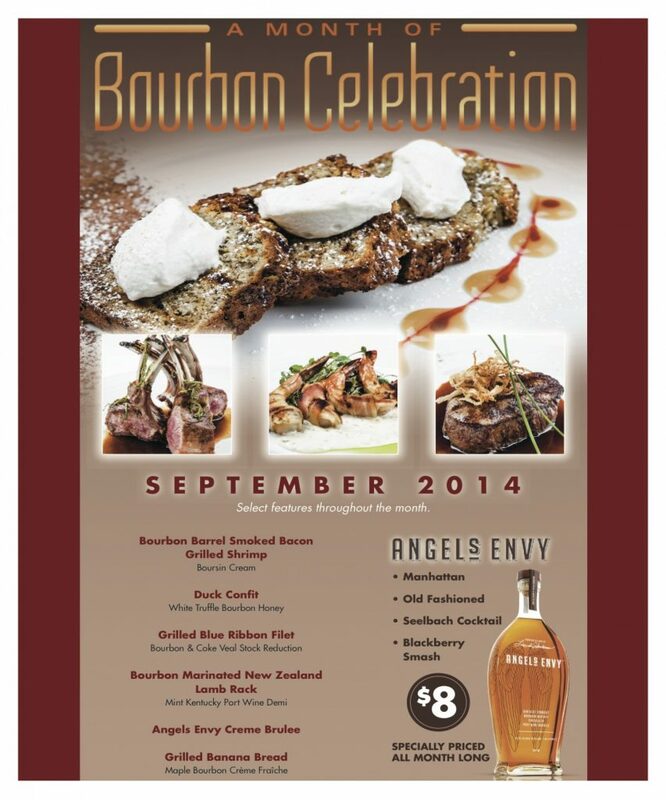 During September’s Bourbon Heritage Month, Kirby’s— with four locations throughout Dallas, Houston and San Antonio—as well as the Oklahoma-based Mickey Mantle’s Steakhouse will be offering an exclusive Angel’s Envy cocktail menu with select featured entrees to celebrate America’s native spirit. Our unique port finished bourbon adds a one-of-a-kind twist to each of the cocktails served by these fine steakhouses, and the drinks perfectly complement the amazing dishes recommended for this pairing. While Angel’s Envy appreciates tradition, we’re always happy to work with individuals who aren’t afraid to improve on the classics. It’s why we’re so excited about this partnership. So this September, we invite you treat yourself. If you’re in Texas or Oklahoma, please stop by the nearest Kirby’s or Mickey’s Steakhouse, respectively. Be sure to take a picture with your wonderful cocktail and post it to Facebook, Twitter or Instagram with the hashtag #AE4THETREES so we can plant a white oak tree in your honor. We can’t imagine a better way to celebrate a month of bourbon appreciation.